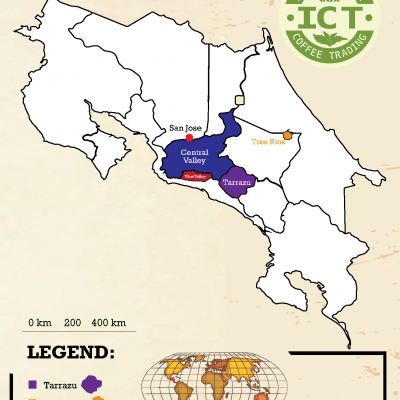 Costa Rica - Intercontinental Coffee Trading Inc. 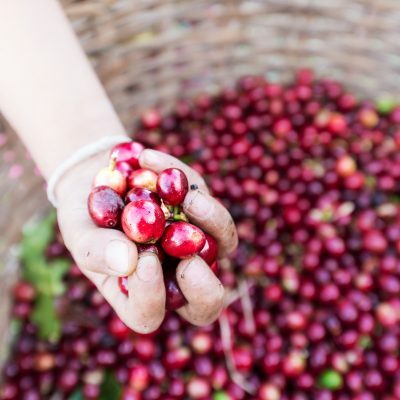 ANNUAL COFFEE PRODUCTION: 1.3 – 1.7 million bags. 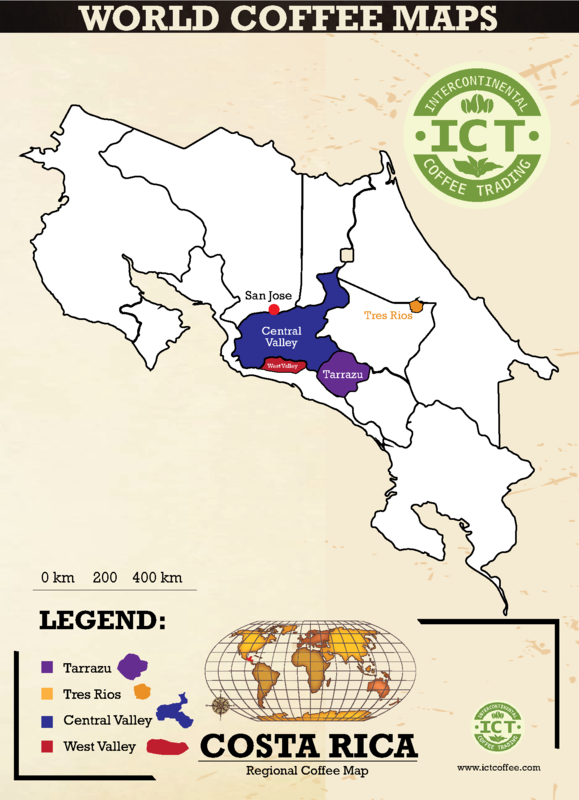 Tarrzu is the most productive (roughly 35% of the total) region in Costa Rica. 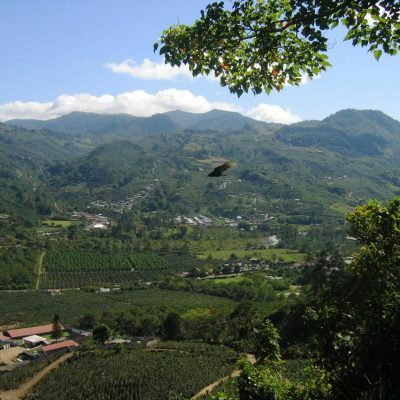 Tarrazu coffee is grown at altitudes of 1100-1800 meters and is noted to be extremely clean. 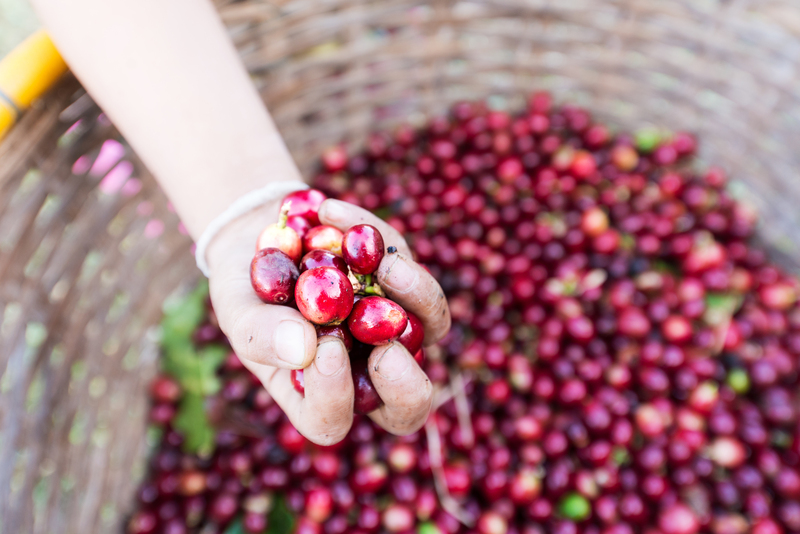 Production ranges from large commercial fincas to family-owned microlots. 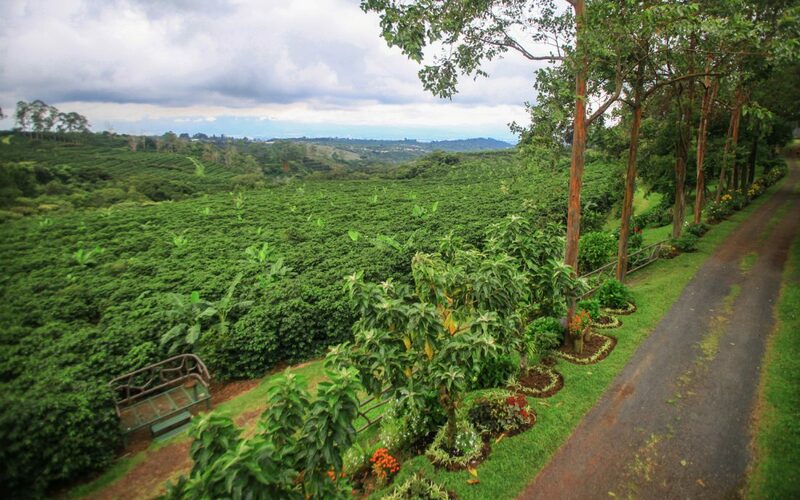 The coffee plantations are located at an altitude range of 1250-1560 meters. 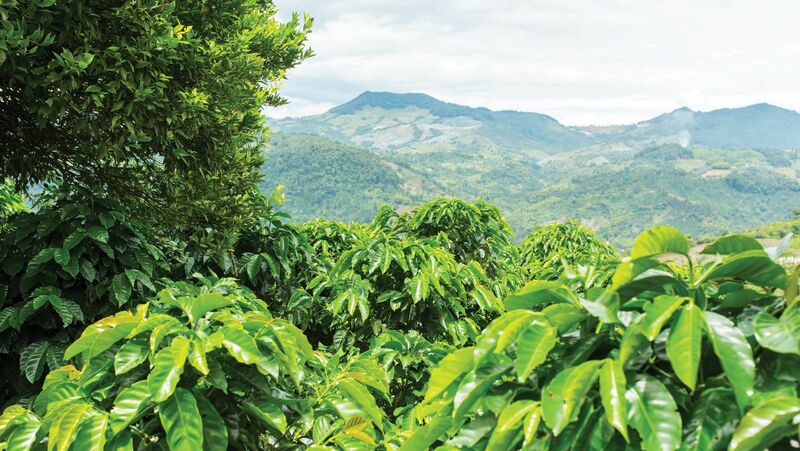 Though the smallest growing region in Costa Rica, Tres Rios coffees are known for refinement and complexity and are among the country’s most sought after. About a quarter of the nation’s production comes from West Valley, grown at elevations of 900-1400 meters. 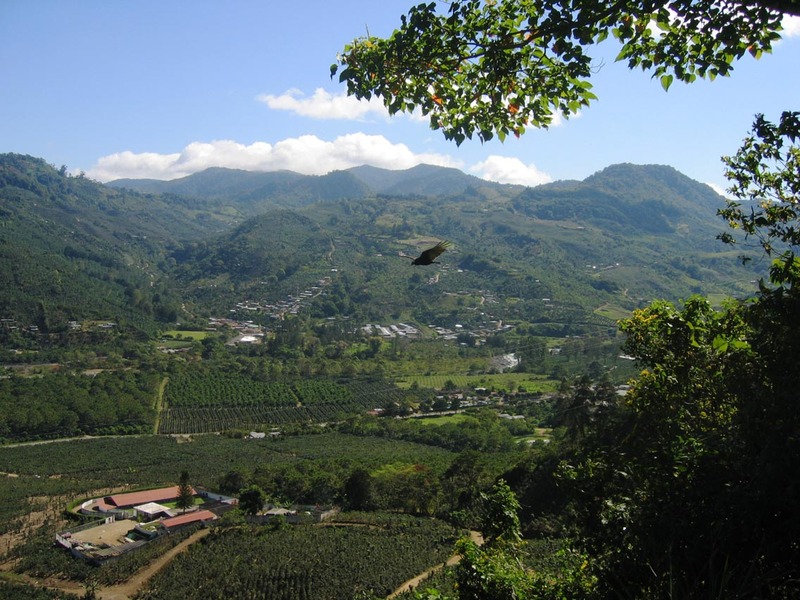 Many of the best mills in Costa Rica are in West Valley, which has produced numerous Cup of Excellence winners. The Central Valley is notable for its distinct rainy and dry seasons. It accounts for about 15% of Costa Rica’s coffee production.